Just days after the terrific news that Chris Rock would be hosting the 2016 Oscars we got (arguably) better news. 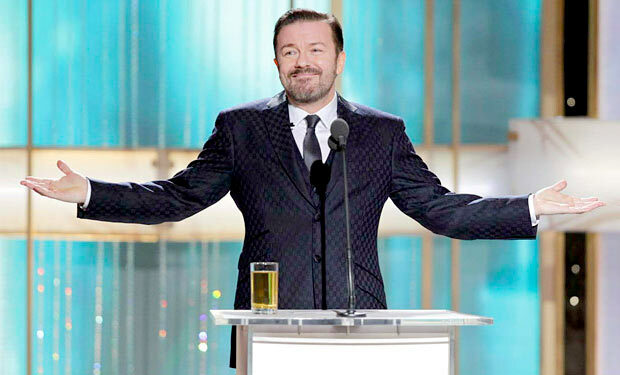 Ricky Gervais is coming back to host the Golden Globes for the first time since the 2012 ceremony. This will make the seventh year in a row with strong hosts after Gervais from 2010-12 and Tina Fey & Amy Poehler 2013-15. In case you forgot, Gervais has a genuine claim to best awards host of all time. Better, he is the unquestioned meanest. Getting him back in the fold, especially at the awards ceremony with an open bar, is absolutely incredible. And of course given that this means we get to enjoy Ricky Gervais and Chris Rock for the biggest movie nights of the year? Who knew Christmas came before Halloween this year?